Did You Move To A Nicer House? First of all it’s Friday, and I love Fridays because it means that we made it through yet another week of homeschooling and we all survived! My mom taught me how to make my on vegetable stock using the broth in my stockpot from a boiled chicken. You just throw some veggies in there and boil for awhile then blend up in the blender and freeze in ice cube trays for later. I’ve been doing this for over a year now and I love having vegetable stock ready to throw in any recipe. I recently used up my stash so it was time to make up another batch. I had seen Natalie Creates post about making her’s in her crockpot . Since I love crockpots and trying new things I did this. Step one: Yesterday morning I started a whole chicken in the crockpot with just a little salt, pepper, garlic powder and a couple of bay leaves. Step two: After cooking about 8 hours I pulled the chicken out and deboned it to serve over some pasta and Alfredo sauce. Then I filled the crockpot up with water all the way, adding to the broth left behind after removing the chicken. I threw in some celery leaves (from the garden), broccoli (also from the garden) , a handful of green beans and corn, onion, garlic, carrots and a bay leaf. I salted it, put the lid back on and cooked overnight. I walked into the kitchen this morning and got a little worried that I couldn’t smell my coffee. ” Had I forgotten to set the timer, had my timer gotten messed with?” These were the thoughts racing through my head. Then ” why do I smell food? It smells like Luby’s in here. Oh no! Did I leave food out all night? !” Whew, I was very relieved to discover it was just my stock simmering in my crockpot and overpowering the smell of my freshly brewed coffee. That brings us to step three: I turned the crockpot off and let it cool for a bit while I had my morning devotional, two cups of coffee, checked Facebook and Instagram, let the chickens out and made biscuits and gravy. Step four: After all of that it seems my stock had cooled off to a manageable temperature. So I put it in the blender and blended it up smooth. This ended up being about two and a half blenders full. and stuck it in the freezer. 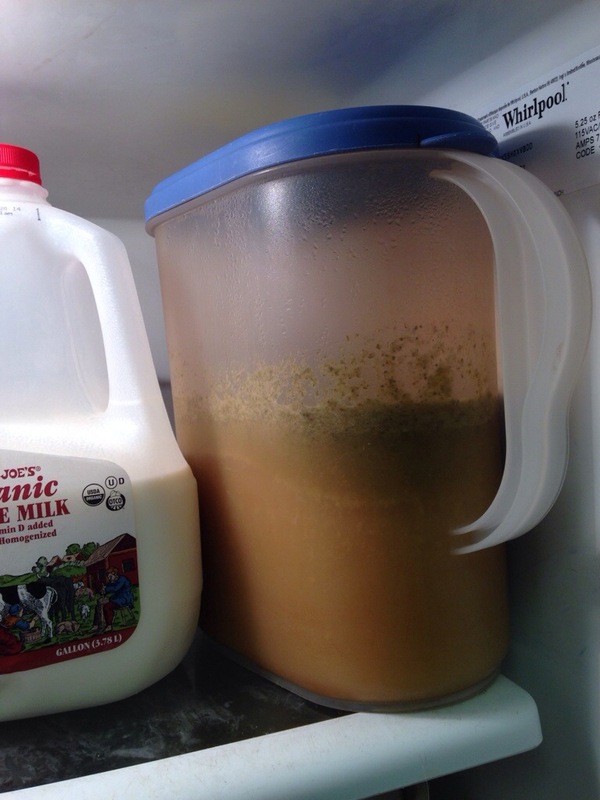 The rest of it I put in this well used plastic pitcher in the fridge. 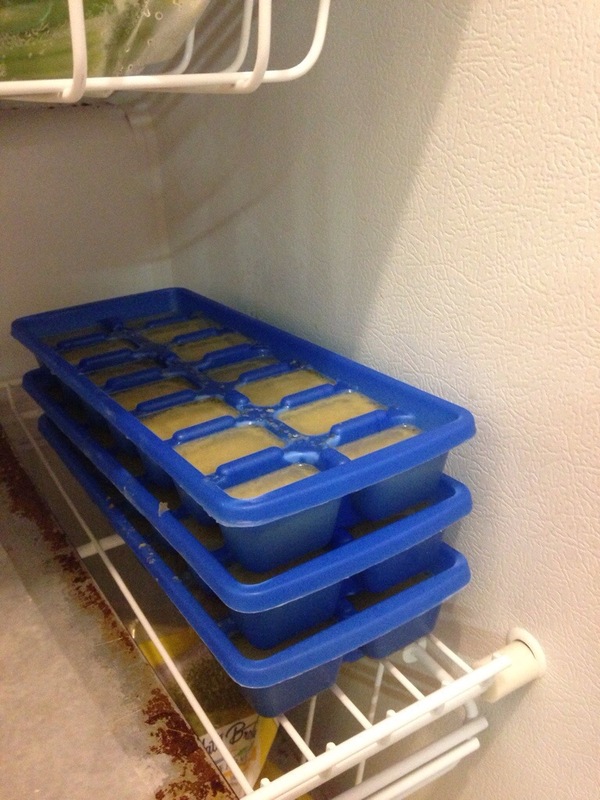 Over the next couple of days I’ll empty the frozen cubes into a freezer bag in the freezer and refill the trays from the pitcher until I have all of it frozen. Once again I will have plenty of ready-to-use stock at my disposable and this makes me happy! Do any of you make your own stock? If so how do you make your’s? 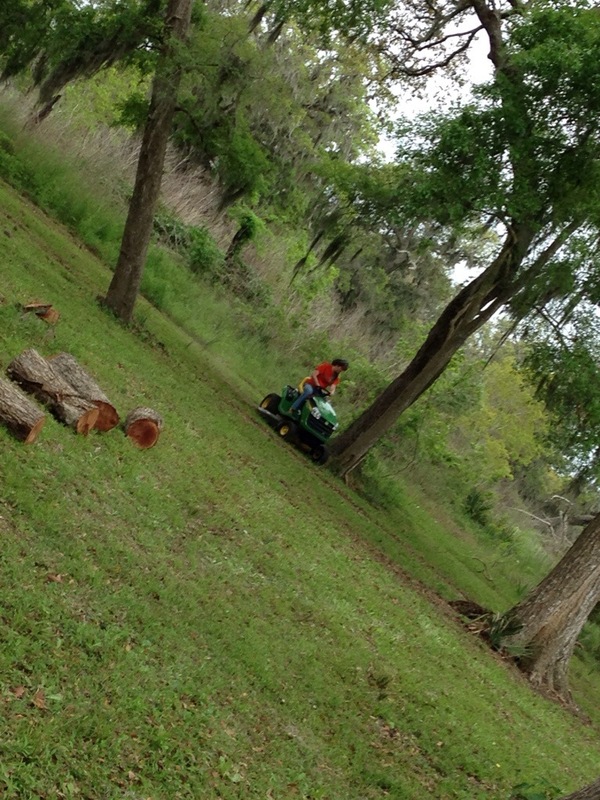 For the first time in a few weeks, we had a full day Saturday to get some work done around the “homestead”. 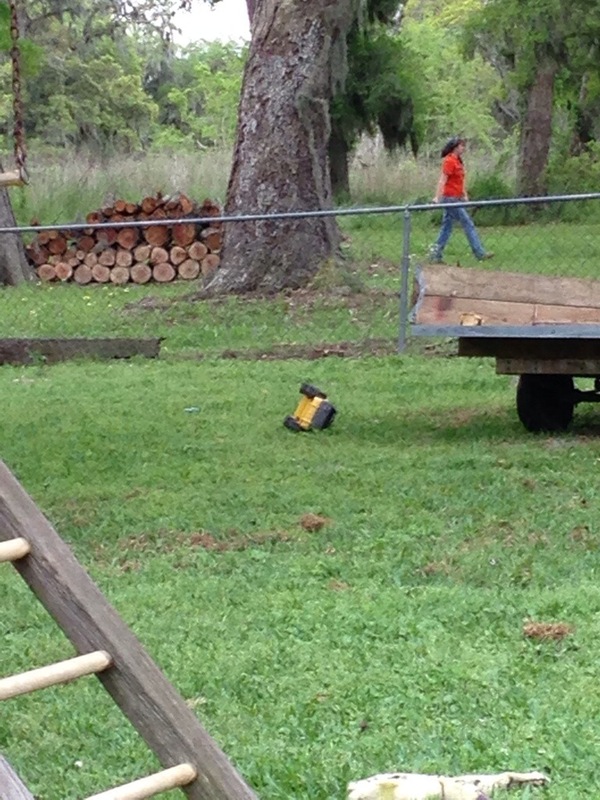 It was a beautiful day here and I stacked this whole pile of logs myself. 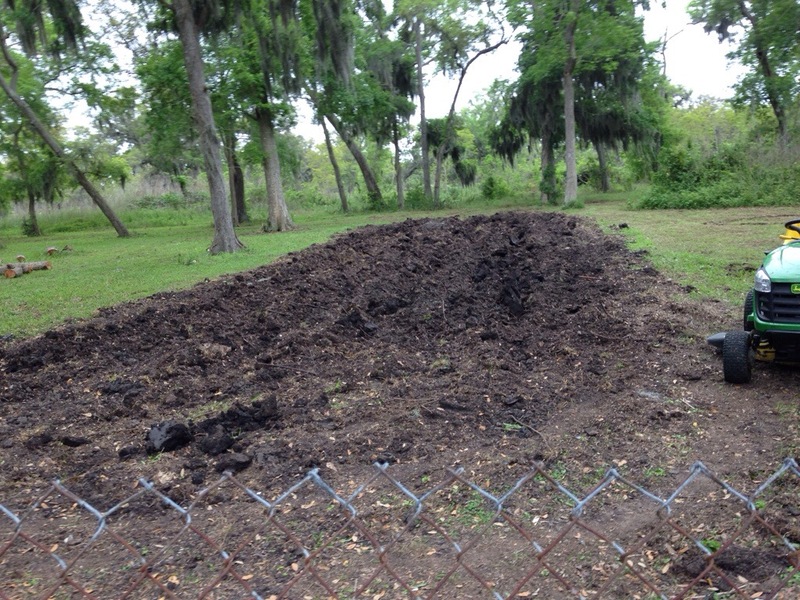 while Aaron did some more plowing on the new garden we’re starting this year, tilled a section of our garden from last year, made rows for our fellow homesteader neighbor, Tom, in his garden and finished up the new hen house. I also helped do a little cleaning out of both gardens. Hopefully we’ll get some of our plants we started from seeds, that are patiently waiting in the green house, into the ground next weekend. 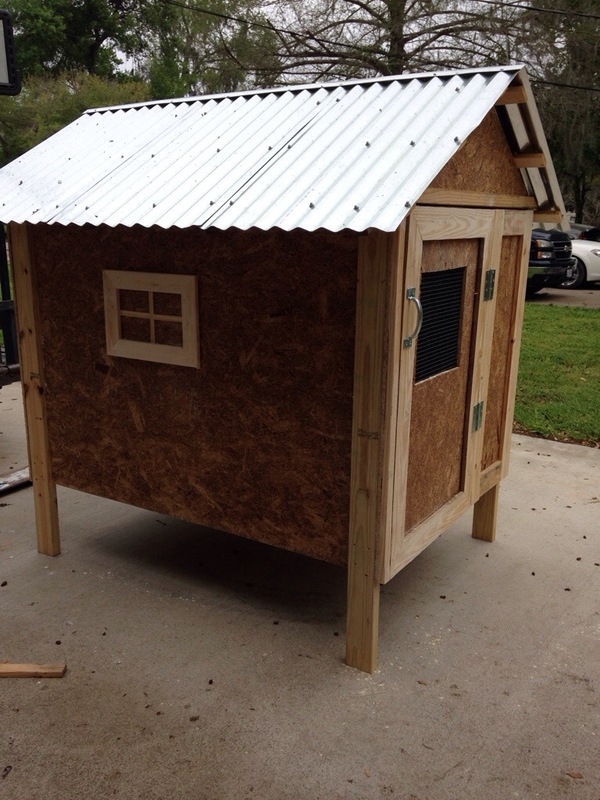 By evening the new hen house was ready to be moved to the backyard so after some planning and maneuvering we got it back there. Where there’s a will, there’s a way. Am I right? 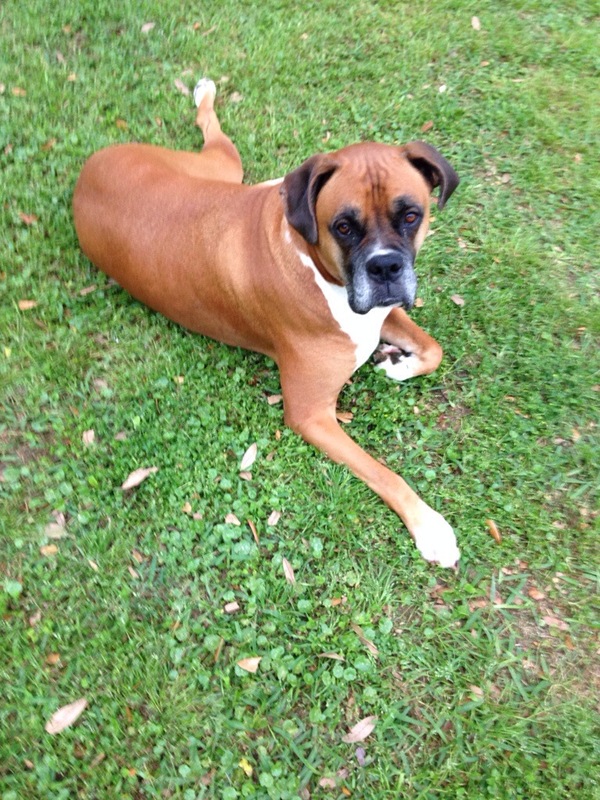 Oh and here’s a random picture of this handsome guy just for your viewing pleasure…. Sunday, it rained, and what a nice day of worship, family and rest it was. I hope all of you were productive this past Spring weekend and found some joy as well. **All photo credits for this post go to Raegan. There is far more than meets the eye. The things we see now are here today, gone tomorrow. But the things we can’t see now will last forever. Why do I always think that things are limited to my vision, based solely on what I can see. If there’s one thing I’ve learned it’s that appearances mean nothing. So up until this point all of this learning to be content and trusting God to provide for my needs and all of that has been easy compared to when I decided I wanted a milk goat. I want a milk goat, oh, let’s just say… YESTERDAY! Normally I would do everything in my power to make a desire like this happen. I wouldn’t care what it would cost in the future , or now, or about the bottom line. Hence my current financial situation. Save up for something? Take some time to gather information and research the best ways of getting things or going about it? Or better yet, waiting for God’s provision (if it’s something I actually need)? Pshh! Never. Last night I got this bright idea, after looking at pictures of adorable goats, I know, that doesn’t help. My bright idea? Pray, pray about goats. Ask him if I really need the goats, because only he knows if I will actually enjoy having them or if they will overall benefit our homestead. Not only is he the one who knows, but he’s the one that can provide. God has promised to provide everything I need and if I don’t have it, then I must not need it. I’ve repented, and then had to repent again of the greed I’m my heart. I need to set an example for my children of waiting on God and finding joy and gratitude in contentment. So while all of you goat people will be posting pictures of your goats I’ll be repenting of envy and patiently waiting for God to make a way for me to have some of my own, if in fact I actually need them. Now that we had all of the “sisters” ( as Raegan called them) settled into their new home, we were anxious to start collecting eggs. Oh I expected they’d be a little traumatized from the move so by my calculations from zero chicken experience I figured about a week. Well that week came….and went, no eggs. We all watched and waited, I whined on Facebook, threatened to grill them, put a golf ball and even a fake egg in the nesting boxes, but still no eggs. I was told they probably wouldn’t lay until spring ( they started their molt soon after we got them) or even ((gasp)) might never lay again. It was a stressful time y’all. 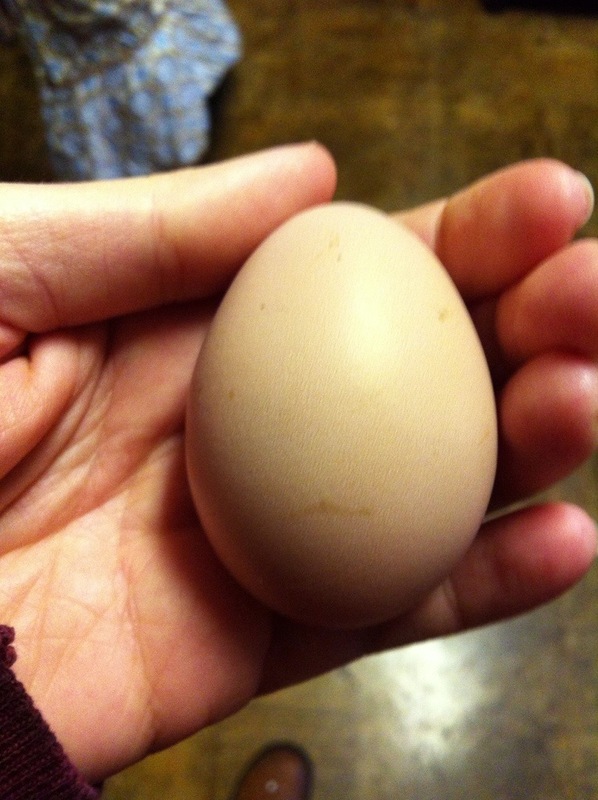 But of course right when I had given up and about a month after we had gotten them ( I promise it felt like much longer) we got our first egg! It was a really cold day, Aaron came in front outside and called me over. He told me to hold out my hand. 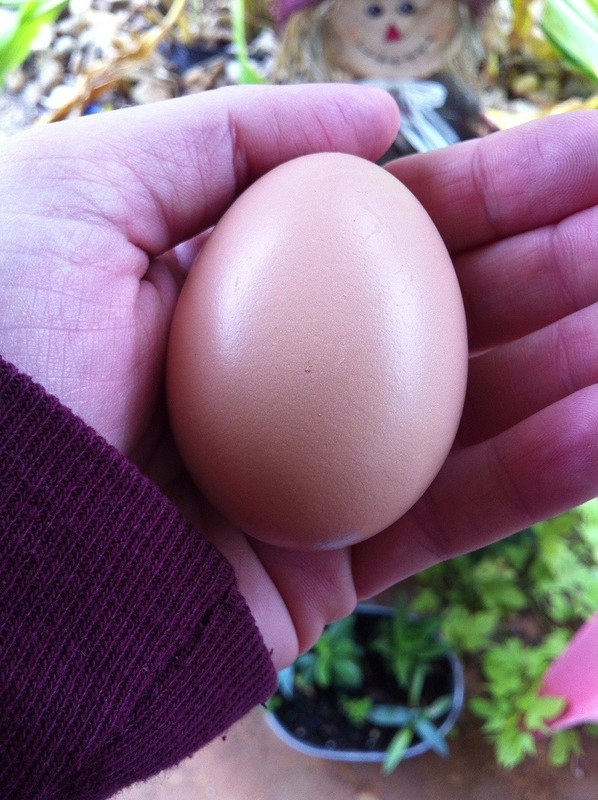 I nervously obliged and he placed something very warm in my hand, an egg, just laid, I almost cried, then I took a picture, posted it on all the important social media websites and of course text pictures to family members. It was a glorious moment. 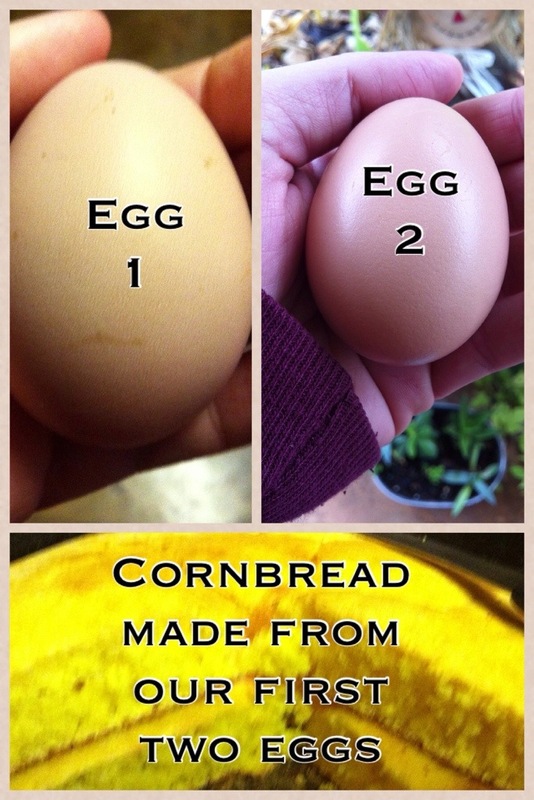 so I posted a picture of that one too, then I celebrated by making cornbread and a collage to post. The “sisters” have been laying almost daily ever since but we like eggs and four hens just can’t keep up, plus I really needed, okay maybe wanted some Plymouth Barred Rock hens. The second week in January we ordered 10 pullets from Ideal Poultry and I had absolutely no idea what to expect, nor was I prepared. The mail lazy knocked on my door with a box full of cheeping chicks. 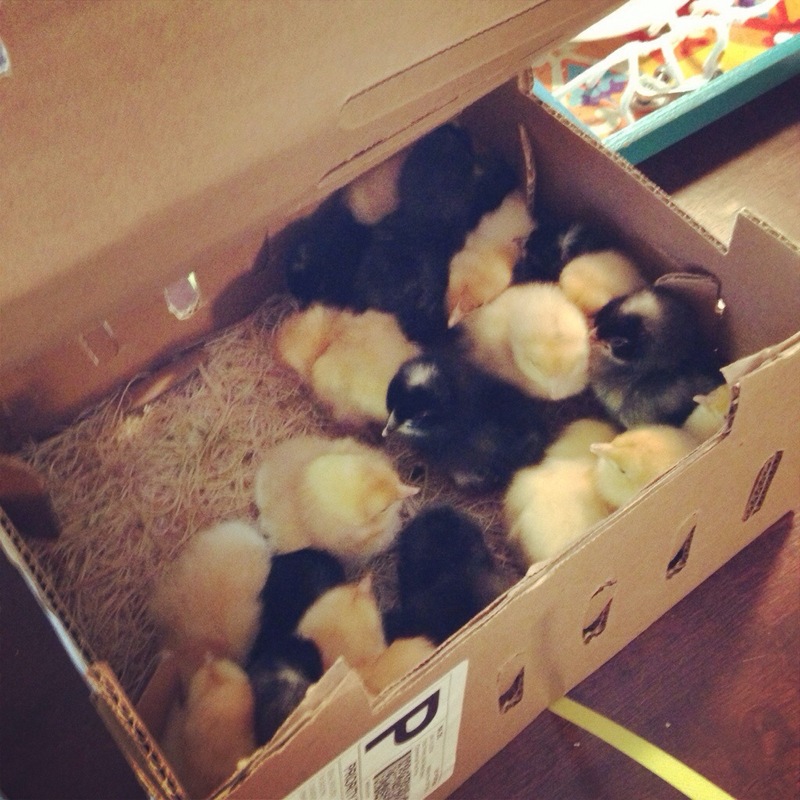 When I opened the box I saw 10 black chicks and 15 yellow chicks. and at 3 1/2 weeks they got their first treat, stale bread. 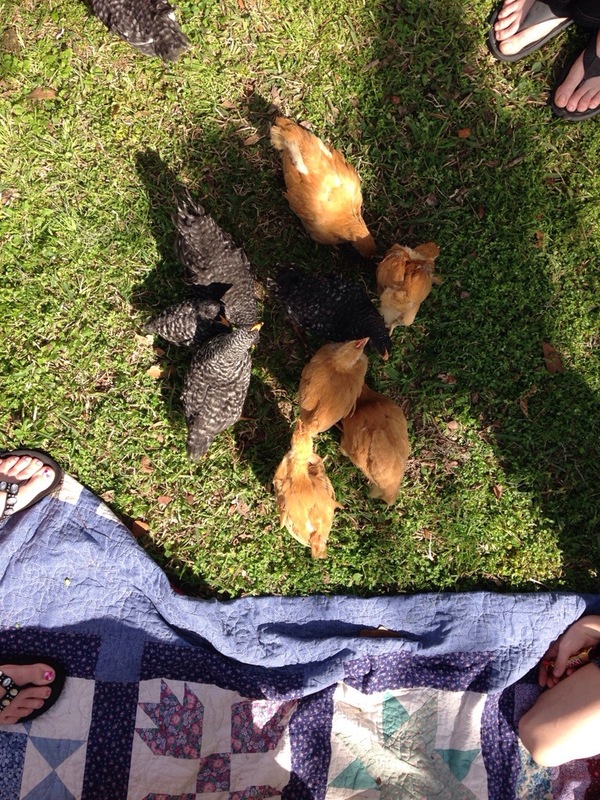 Before I knew it they were big enough to be out pecking and scratching in the backyard. and I night we scoop them all up and put them in their cage. 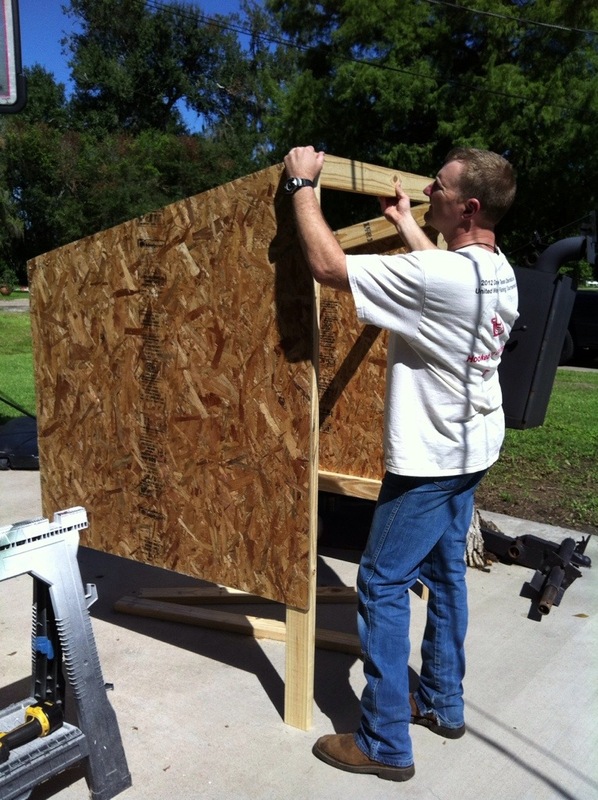 By the end of this week we should have a new hen house built big enough to hold them all. Very soon 5-6 of the Plymouth Barred Rock will be going to new homes, because I only ever wanted 4, and the yellow chicks, who I believe to be Buff Orpingtons and are supposed to be roosters, will go to their new home in my freezer. At this point I think I can safely say I’ve been successful raising my first chicks, with the exception of one my schnauzer got ahold of and one mysteriously found deceased in the cage. and we all pitched in. and viola! The finished product. 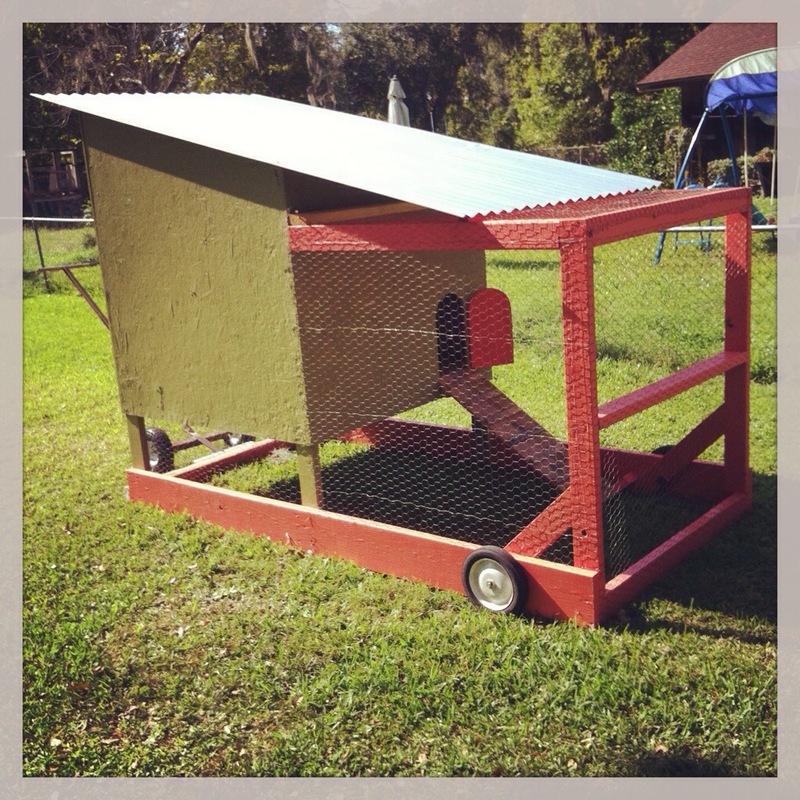 Now it was time to pick up our chickens. I had read the best time to move chickens was after dark so I set out with a dog carrier and a flash light. 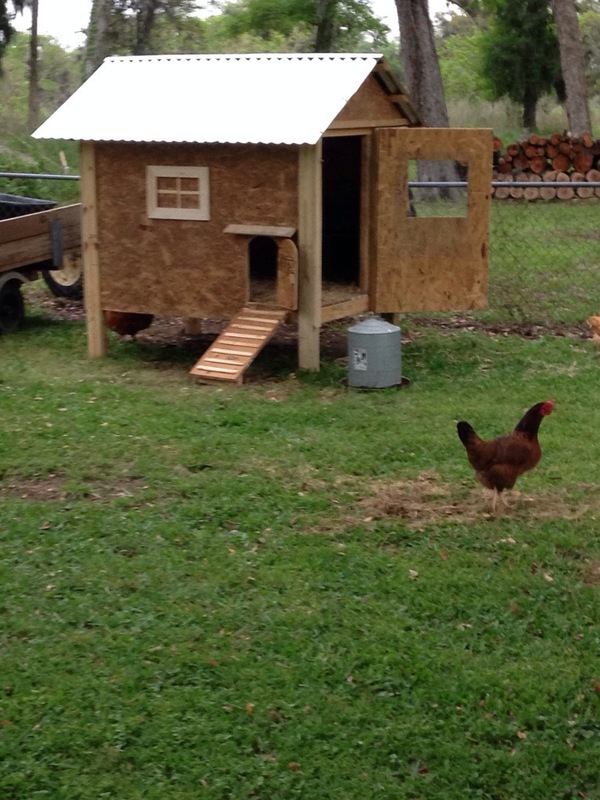 When I got there they were roosting in their hen house, happy as can be. Their current owner grabbed one and stuck her in the carrier while I closed the gate behind her. Then he wrangled hen number two and into the carrier she went. As he was trying to put number three in the carrier I heard something rustling behind me in the dark, I looked back and when I did I accidentally opened the carrier gate too far and then ALL of the chickens escaped. We went from almost three to zero in half a second. After chasing chickens around in the dark for what seemed like forever we finally corned one, loaded her up and I took her home. Before I left though we came up with a plan for the following night. Come the next morning our apparently traumatized hen wouldn’t come out. my anxious children waited not-so-patiently in their pajamas until around 1pm when she finally ventured out. We celebrated. 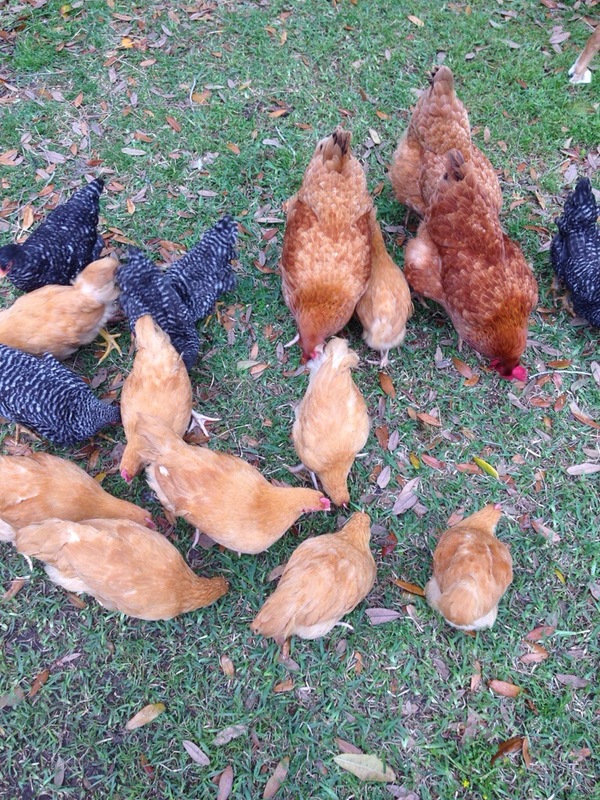 That night our plan worked and we gathered two more hens. Then, if we weren’t already the most popular kid hang out in the neighborhood, we were now. There was still one little hen left back at their previous house and my husband and kiddos made several attempts to catch her. The problem was she was onto us coming into her hen house and capturing chickens after dark, so she found herself another place to roost. We just had no idea where that was. Finally one night the whole family went over there, hunted her down, and my husband captured her out of her new roost in a tree. I swear it sounded exactly like she was shrieking “help! 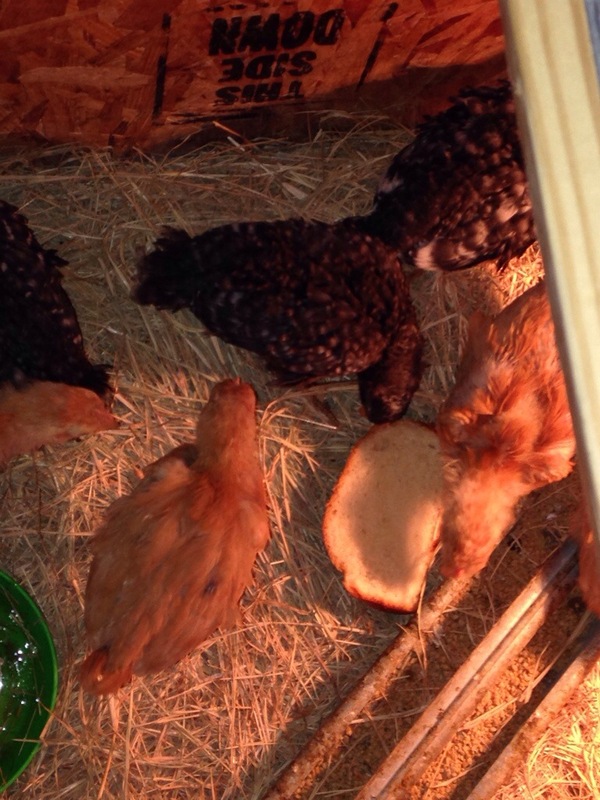 help!” With all four chickens settled into their new home there was nothing left to do but wait…..wait on the eggs.